Raleigh's Detour iE was featured in Bicycling.com's '2016 Buyer's Guide: Best E-Bikes' round-up. 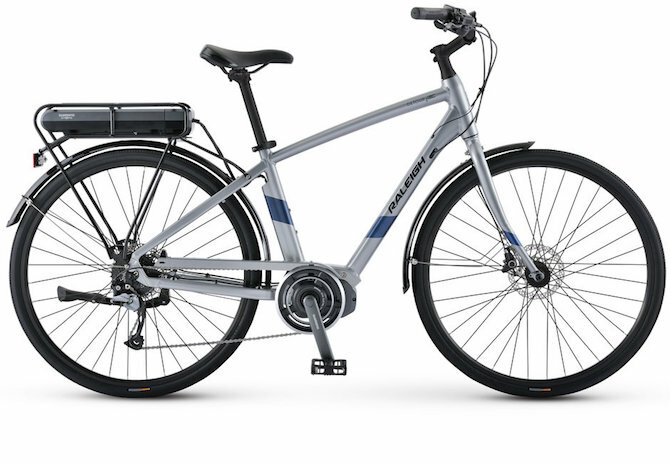 The Detour iE is designed for urban commuting, as well as recreational use and, with a 250-watt electric assist motor and step-thru frame, it a great option for those looking for an everyday commuter or weekend cruiser. Editor's Quote: "The niftiest feature...is the way the battery for the motor is positioned: sitting in a rear rack, so it blends into the classic step-through frame style." To view to Detour iE, click here.